SACRAMENTO – The City of Farmersville got a little bit of money for a small, but much needed project last week. On Oct. 19, the California Transportation Commission (CTC) allocated $669 million for more than 100 projects, funded by or at least partly by Senate Bill 1 (SB 1), the Road Repair and Accountability Act of 2017. 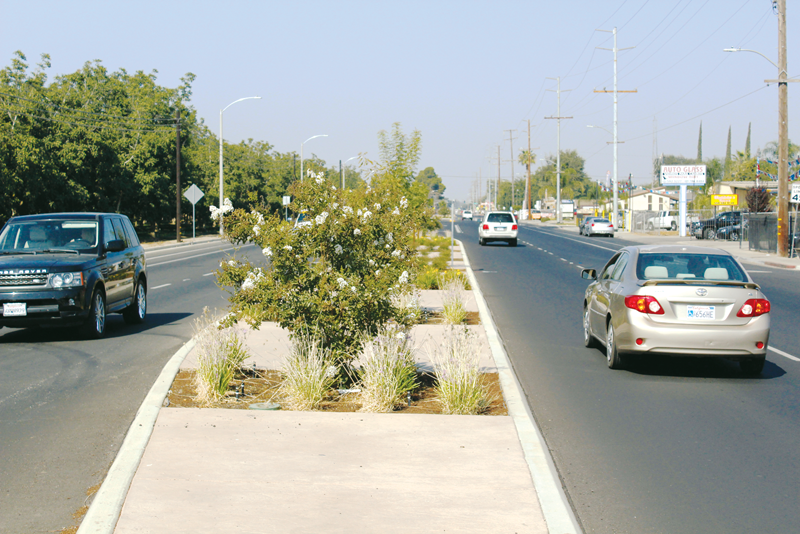 Farmersville received $6,000 of that total to pay for a portion of a Safe Routes to School project along East Walnut Avenue from Farmersville Boulevard to Freedom Drive. The project will address the urgent need for sidewalks, bicycle lanes and traffic calming measures on the main east-west school route to the City’s multi-school campus which serves approximately 1,300 students in grades 4-6 at Freedom Elementary and grades 9-12 at Farmersville High School. More than 50 other projects were allocated funds that will bring goods to market faster, help relieve traffic in our most congested cities, and provide additional funding on transportation investments that counties have made in their own communities. • Madera 99 Widening Project: $69.7 million project will reconstruct drainage systems, upgrade guardrail and Intelligent Transportation System (ITS) elements, construct one new lane in each direction and improve 23.5 lane miles of State Route 99 from the Avenue 12 Overcrossing to north of the Avenue 17 Overcrossing in the city of Madera in Madera County. • Kern 99 Pavement Rehabilitation (2R) Project: $58.5 million pavement preservation project will replace failed slabs and improve 33 lane miles of State Route 99 from Interstate 5/SR-99 Separation to north of Old US-99 Overcrossing (South Union Avenue) in the city of Bakersfield in Kern County. • Kern 58 Pavement Preservation (CAPM) & ITS Project: $16 million pavement preservation project will upgrade Intelligent Transportation System (ITS) field elements to improve the flow of traffic and improve 18.8 lane miles of State Route 58 from east of the San Luis Obispo/Kern County line (west of Galainena Grade Road near the town of McKittrick) to SR-33/SR-58 Junction in Kern County. • Kern 43 & 119 Pavement Preservation (CAPM) Project: $14.3 million pavement preservation project will improve 22.2 lane miles of State Route 43 from SR-119 Intersection to south of Noriega Road in the city of Bakersfield, and SR-119 from west of South Enos Lane to Interstate 5/SR-119 Separation in the city of Bakersfield in Kern County. • Fresno 145 Pavement Preservation (CAPM) Project: $12.1 million pavement preservation project will improve 12.3 lane miles of State Route 145 from Kamm Avenue in the city of Helm to Manning Avenue in the city of Kerman in Fresno County. To date, along with the 53 projects completed, Caltrans has awarded or started construction on 90 projects and has begun work, including design and environmental clearance on 357 projects. At the meeting, the Commission also approved Caltrans’ Annual Efficiencies report which details how the department will achieve more than $130 million in savings. More information and updates on projects can be found on Caltrans’ social media www.dot.ca.gov/paffairs/social-media.html. For complete details on SB 1, visit www.rebuildingca.ca.gov.